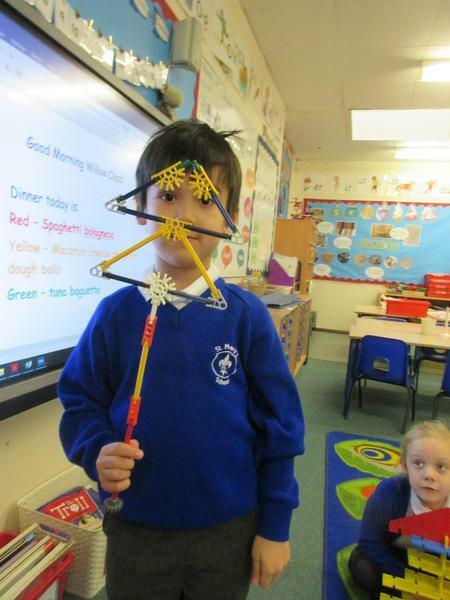 This week we have continued with our English focus on the Last Noo Noo by Jill Murphy and have been making our own Noo Noo Snatchers out of construction toys. 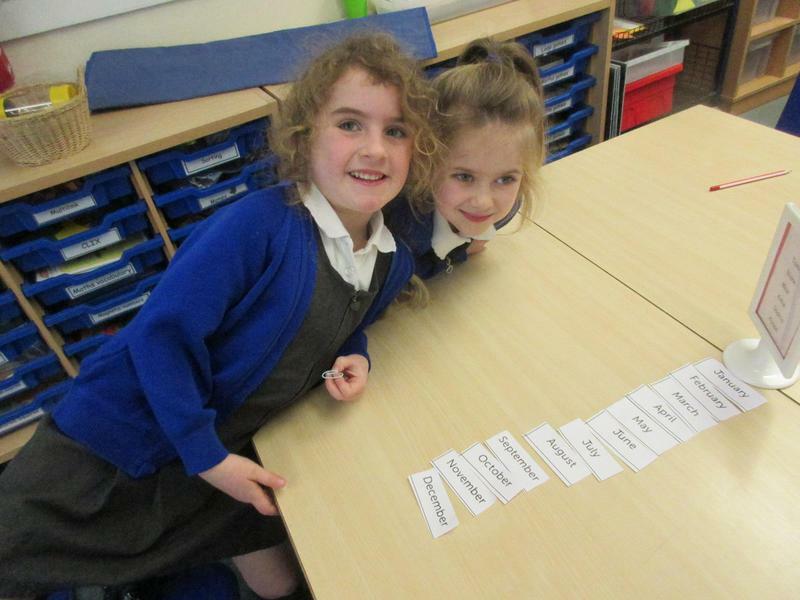 We have been writing descriptions of them and also looking at words with the suffix ed and ing to use in our writing. 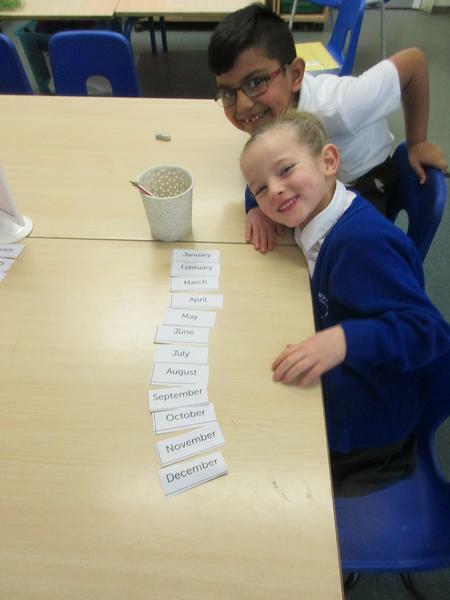 In maths we have been sequencing the days of the week, months of the year and the four seasons. Our science topic this half term is materials and we have been sorting and classifying different every day materials. On Thursday we had a special visitor in assembly, Alex. Alex had been working as a conservationist in Figi and he talked to us about some of the work he had been doing. He showed us some pictures of the effects that plastic pollution has on marine life so in our science lesson we thought about the question is plastic good or bad? We agreed that throwing plastic away was not good as it often ends up in the sea and is harmful to marine life so we have made some posters to inform people that we need to care for our planet and recycle our plastic. We have had alot of people off this week in Willow class with nasty winter bugs and coughs and colds. We hope you are all feeling much better and are looking forward to seeing you back next week. We have missed you! Happy New Year! We hope that you all had a lovely Christmas and that Santa was able to bring you what you wished for! We have got straight back to work this week, which has been a bit of a shock to the system after our Christmas break! In our maths we have been using comparative language to describe height and mass. 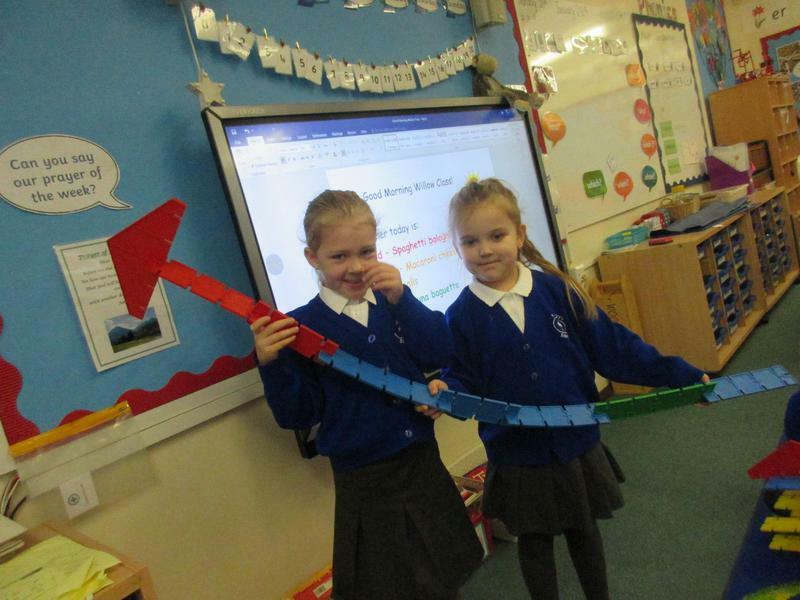 We had great fun investigating these in our classroom. 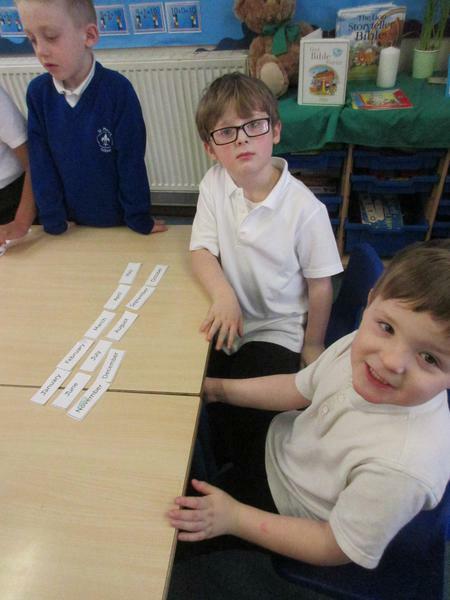 In our phonics we have been practising decoding alien words. Ask us what an alien word is! We are enjoying reading 'The Last Noo Noo' by Jill Murphy in our English lessons and have been exploring the text. This week in Science we went on a winter walk around the school grounds to see what changes happen in winter. We looked at the trees and noticed not all of them had lost their leaves and we discussed what some animals do in winter. Ask us to tell you! 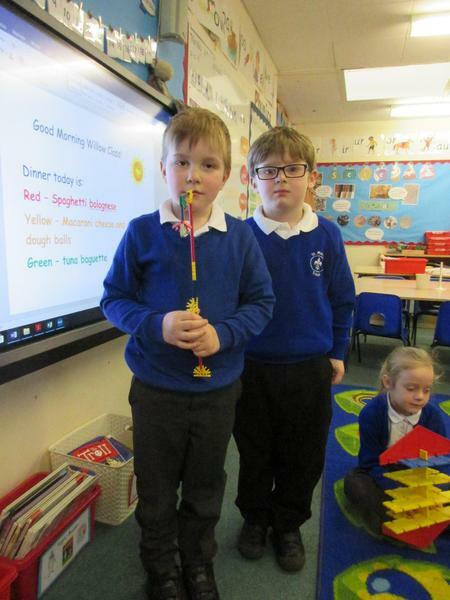 We learnt a new song in music called 'My Name is Pinocchio' and have been practising our balancing skills in PE. In our RE lessons we have been thinking about belonging. We all belong to our family and we had a lovely discussion about the things that we like to do with our family. 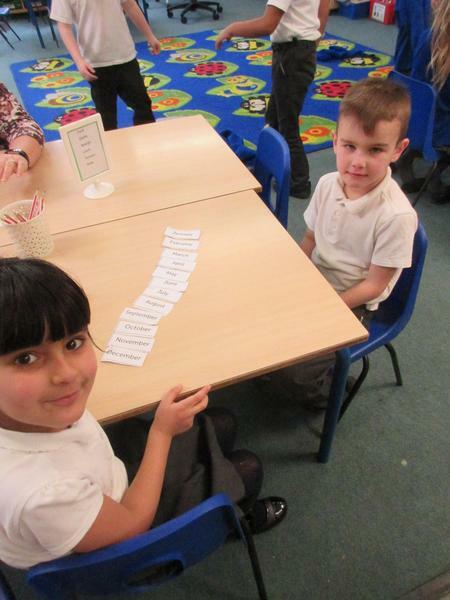 In assembly this week, Mrs Melidoro introduced the 'Good manners table'. We are all working on remembering to use our good manners - saying please and thank you, being respectful of others, listening to our teacher and being kind and helpful as well as persevering with our work so that we can have lunch with Mrs Melidoro on a Friday! Our first star of the week this term goes to Charlie. 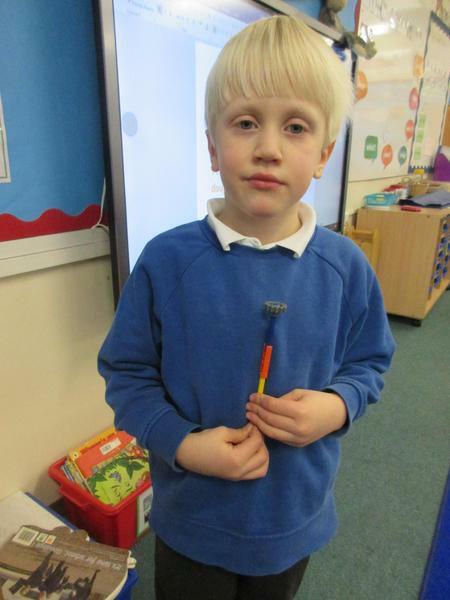 The children in his class said that Charlie is always polite, helpful and works hard. He is friendly and respectful to everyone. Well done Charlie, you must feel very proud! What a busy week with fitting in lessons and rehearsals! Capital letter at the beginning of a sentence. Use a full stop, exclamation mark or question mark. at the end of your sentence. Read through to check your sentence Makes sense! 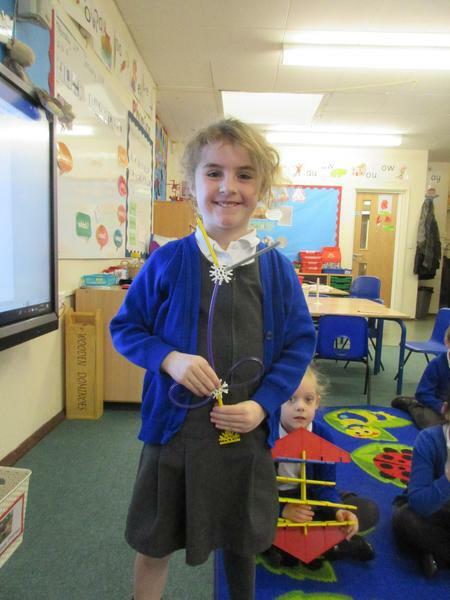 Star of the week congratulations go to Kyla this week. Her classmates said some very complimentary comments about Kyla. Being a kind friend, being respectful and working hard at school featured heavily! Well done Kyla. Red certificates went out to Amie and Tommy C. Well done to you both. Just a little reminder! Please ensure that your child brings a warm coat each day. They can be outside for at least 50 minutes ( depending on how quickly they eat their lunch!) and the weather is getting colder. Just a short but sweet blog this week! Firstly many apologies for the lack of 'blog' over the last few weeks. My time off to recover from my operation was unfortunately extended due to a nasty virus that I picked up. However it is now business as usual and my gratitude and thanks go to Miss Amos, Mrs O'Brien and the other teaching staff who have ensured that the children's learning continued in my absence. Our new topic this half term and for the next half term is called 'Memory Box'. We shall be taking a look into the past of our own lives to when we were babies and also learning about some significant people in history who have changed our lives for the better. After Christmas we will move on to looking at toys and homes from the past. Of course Christmas is creeping up very quickly and the children have been busy learning the songs for our Nativity performance, The Inn - Spectors! I'm sure you have been treated to a rendition now and again! We have all been given our parts and have started our rehearsals. We have to be very patient during rehearsals and sometimes it is difficult to remember all the actions, when to go on stage and to sit still and not chat! However, as if by magic, gradually everything falls in to place and we are ready to perform to you! Although we have only been back a couple of weeks, we have been very busy and working incredibly hard. In our English lessons we have been reading the story 'Where's My Teddy?' by Jez Alborough and have been looking at the characters and setting of the story. 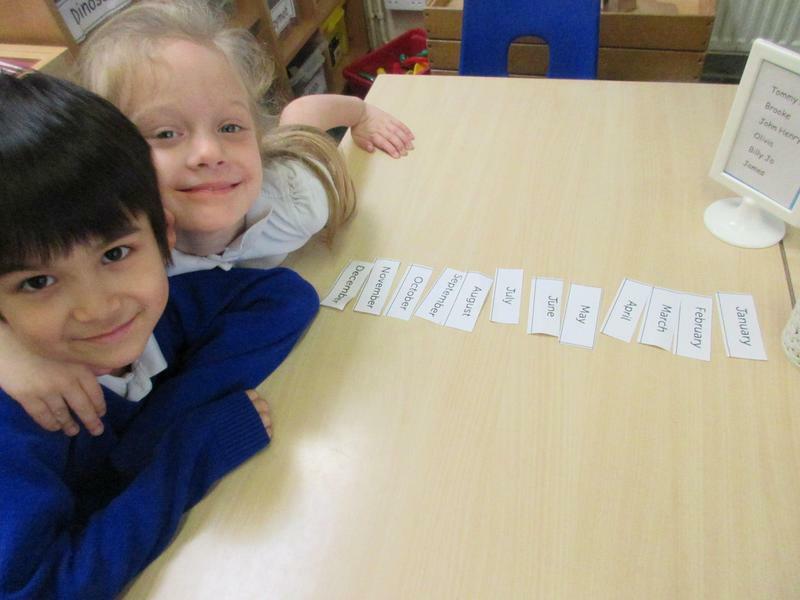 We have been sequencing the story and will soon be ready to write a recount of what happened when Eddy lost his teddy. In maths we have been learning different methods of subtraction, by using number bonds,counting back,crossing out and making subtraction stories. We have learnt about Remembrance Sunday, why we wear Poppies and the bravery of the soldiers who fought in the war. We have also learnt about Guy Fawkes and the Gunpowder Plot. We are very lucky this half term to have Abi from Apex Sports come in and teach us dance. We are learning a dance routine based around toys and we are getting very good with our dance moves! This week has been very busy with the Community Book Swap, PCSO Sam coming to talk to us about what to do if we feel we are being bullied and our fund raising for Children in Need. Do take a look in our gallery for some fab pictures of us! Congratulations this week go to Maxwell for being our star of the week. 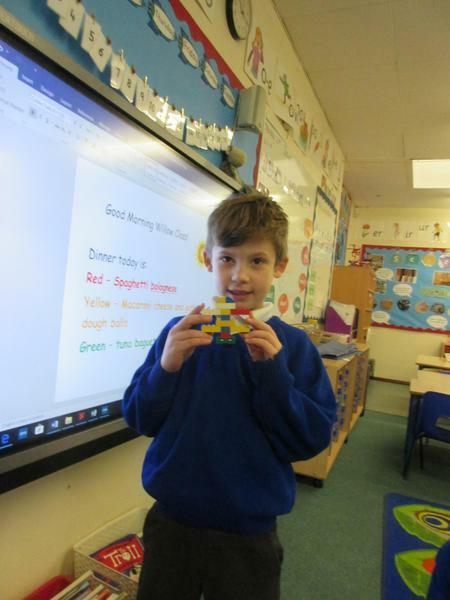 Max brought in some amazing work that he did at home demonstrating lots of the things that we have been learning at school. What a superstar Max! Red certificates went to Kyla and Blake this week. Well done girls. Remember that Friday is another non uniform day in exchange for a donation of some chocolate for the Christmas Fayre! We have been working hard! This week's learning in maths has seen us making number stories and making different number bonds up to 10. In English we have been developing our knowledge of stories with predictable phrasing by listening to the story of Farmer Duck by Martin Waddell. We have been thinking how a problem in a story can be fixed, learning to describe a character and making a list of plural nouns. On Wednesday we all went to church to celebrate our Harvest Festival. All of the classes had researched how Harvest was celebrated around the world and shared this information in our service. It was a lovely service, and through the generosity of all our parents, we collected a substantial amount of food for the Hatfield Food Bank, who were delighted to receive this donation. We continued our thoughts of being generous and of helping others in our RE lesson and this week with our special visitor, Rev. Dr Penny Thomson, the curate from St Ethelreda's in Hatfield, who came and joined our lesson. Congratulations this week go to Ayaan, for being our star of the week! Ayaan always works hard is always ready to learn. He is also a very helpful member of the class and is always willing to help others. Congratulations also to Amie, for being resilient in her maths and not giving up and to Maisie who is always ready to learn. Have a wonderful weekend, from Willow Class. This week in our English we have continued with the 'Avocado Baby' theme and had a go writing the story. Our maths focus this week has been comparing numbers of objects. In science we are learning about our five senses and put them to use when we went out for a walk and had to be 'senses detectives' What could we smell with our nose? What did we hear with our ears? What did we feel using our sense of touch? What did we see with our eyes? Could we taste anything? In RE we have learnt how people give thanks for the Harvest and the food we eat and are looking forward to going to church to celebrate Harvest Festival. Earlier on in the week we made some healthy superhero snacks, using fruit. We agreed from last week that we didn't really like avocado but we really enjoyed the fruit kebabs. We also evaluated our work and thought about if we made one again what we would do differently to make it even better. Congratulations this week go to Amie for being our star of the week! Amie always shows good listening skills, is kind and helpful and always tries her best. Well done Amie! Also congratulations go to Lloyd and Tommy who received red certificates this week for being good learners. Well done Boys! A visit from a Superhero! We are really beginning to get stuck in to the Year 1 curriculum now and feel really grown up using all our different books! We are enjoying following the Maths No Problem scheme that we use in our school and in English,have started to make our story map for Avocado Baby. Avocado Baby is a story about a baby who eats avocados and becomes really strong, like a superhero! We even tried some avocado but not many of us liked it! On Wednesday we took advantage of the glorious weather and went for a little'nature walk' around our school grounds. We took some photos with the camera of the things that make us happy and make us think to ourselves, what a wonderful world. On Friday we had a very special visitor... SPIDERMAN !!! He taught us all about how to be a superhero. Superheroes are kind and brave and save people. We played lots of different games that involved saving each other and working a part of a team. He also taught us how to shoot webs and how to perfect our flying techniques! Spiderman said that we had all passed our level One Superhero training. Thanks Spidy! It was quite tiring so later on we had a bit of Superhero R&R watching The Incredibles, where we picked up some more superhero tips and ate some superhero banana popcorn sent in from Banana Man. What an amazing way to end the week! Congratulations this week go to Lloyd for achieving Star of The Week. Lloyd has been very kind and helpful and had been trying really hard with his work. Also congratulations to Iulian and Elizabeth for settling in to a new class so well. What Superheroes you all are! Happy weekend from Willow Class Superheroes! Just to let you know that I shall not be in school Wednesday, Thursday and Friday this week as I have to have some minor surgery on my hand. Mrs Reynolds will be teaching the children in my absence and I hope to be back the following week. Miss Amos is now working in our class as our teaching assistant, so please feel free to talk to both her or Mrs Reynolds should you have any queries whilst I am away. Thank you for your understanding. Whoosh! Where did that week go?! Willow class have been working on their listening skills this week and have been playing lots of games to help develop these skills. We have also been enjoying listening to the Funnybones stories by Janet and Allan Ahberg. This links nicely with our science this week where we have been learning the names of some of the different bones that we have in our bodies. In maths we are continuing with our counting forwards and backwards skills and recording missing numbers in a sequence. In RE we have listened to Louis Armstrong singing 'What a wonderful World' and we have started to think about what does make the world so wonderful to us. In PE we have continued with our Superhero theme to begin to create a dance routine. The children are starting to get more used to their new routine and classroom and were especially excited when a new rug appeared in the classroom which is identical to the one they had in Oak class! Thank you to Sunshine Preschool! Happy Birthday wishes go out to Joey who is the first in our class to be six! I think I'll stay six forever and ever! This week congratulations go out to Sophie who is our new star of the week and to Jack and Ayaan for achieving red certificates in sharing assembly. Well done Sophie,Jack and Ayaan! 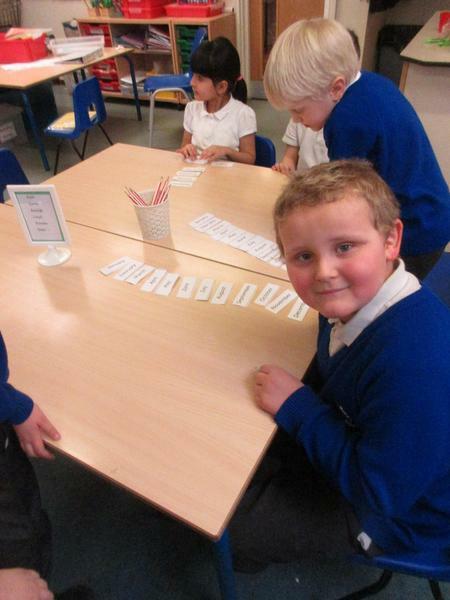 In maths we have been ordering numbers and finding the missing number out of a sequence. In science we named and labelled our different body parts and also did the skeleton dance! It was great fun! In RE we have been thinking about all the different people we might give thanks to and we then made them a card. Our PE lessons have been very exciting as we developed our superhero poses, flew like Superman and began to create a superhero action sequence. This week in our computing lessons we learnt how to keep safe when we use the internet. Please visit the the eSafety section in the key information section on the main menu for more information of how to keep safe when using the internet. And finally ...congratulations to Maisie for being our very first 'Star of the Week' and also to Lisamarie and Brooke for getting red certificates in sharing assembly this week. Very well done girls! We are all looking forward to a busy week of learning next week! 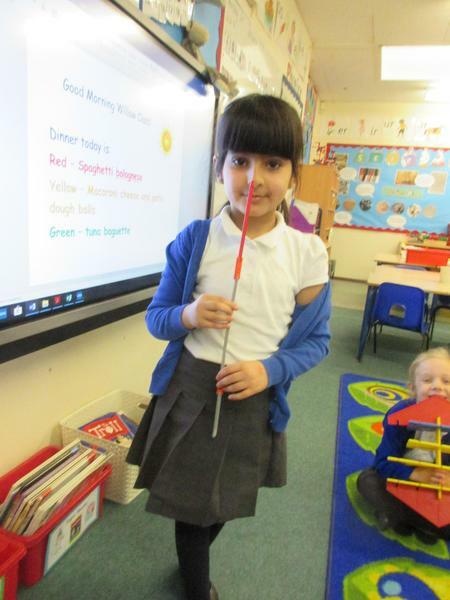 Welcome to Willow class's first blog! Well even though that wasn't a full week we have certainly been very busy in Willow class! We have been exploring our new classroom and finding out where everything is kept and we have chosen some class helpers who will have some very important jobs to do to help with the running of the classroom. We are finding it a bit different from being in Oak class but we are really enjoying feeling more grown up now we are not the youngest children in the school! On Thursday we shared what we did during the holidays and wrote a few sentences about it. We have also been enjoying our Superhero role play area and can't wait to get stuck into our Superhero topic! We were all excited to get our new reading books and have promised to read each day. We can't wait for next week!